Hypertensive heart disease represents a spectrum of changes in the heart geometry and functions as an adaptation to long-term increased blood pressure. These alterations in the heart function and structure, along with associated conditions, such as ischemic heart disease, lead to the development of heart failure. 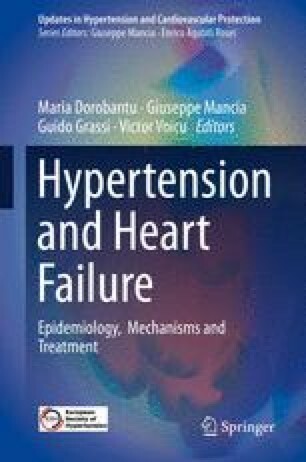 The main abnormality induced by arterial hypertension is left ventricular (LV) hypertrophy and diastolic dysfunction. The presence of LV hypertrophy has an important prognostic impact. Echocardiography is the key investigation used to assess the LV mass and diastolic and systolic function. With the use of advanced echocardiography methods, early identification of left ventricular systolic dysfunction is possible. Echocardiography is also a very good instrument to evaluate the presence of associated conditions like ischemic heart disease or involvement of the aorta. Along with the development of clinical signs and symptoms of heart failure, echocardiography is the main investigation used to define and differentiate between the types of heart failure.